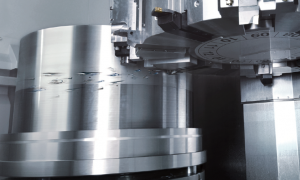 The MEGATURN NEXUS Series of CNC vertical turning centers excel in heavy-duty cutting of large tough-to-machine workpieces. 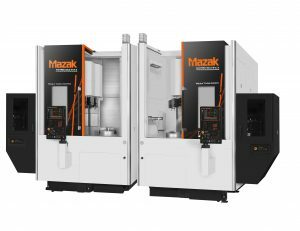 With machine configurations that include rotary tool milling (M) capability, the machines can combine turning and secondary machining operations to increase accuracy and productivity with multi-tasking capability. Maximum workpiece size of ø920mm(ø36.22”) × 800mm(31.50”). 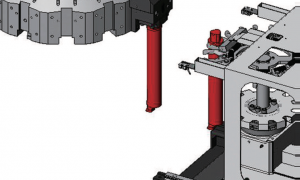 The machine base is designed for heavy duty cutting by using structural analysis to ensure the maximum rigidity. By utilizing roller linear guides on the X-and Z-axes, not only is high rigidity realized but smooth cutting is also ensured even at high speed feedrates. 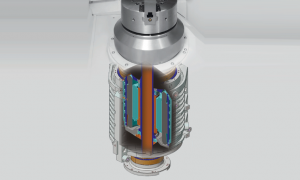 Because of these modifications, the high strength and rigidity is maintained without the presence of a VTL Crossrail.